Publisher Steve Forrester from the Daily Astorian was impressed by the dining scene in Salem recently and wrote about it in his paper. 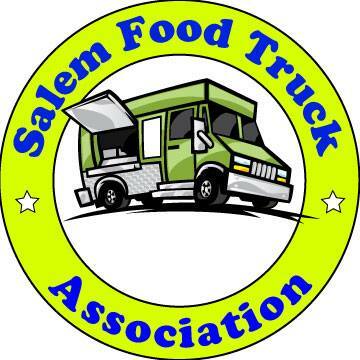 Here's a link to the article titled "Great food in Salem, Who knew?" I think if you live in Salem you know things are getting better here and this is one of the first indicators that word is getting out. Steve ate dinner one night at La Capitale and came back for lunch the next day. Here's a quote from the article. "This is news, because nothing I've consumed in our state capital over the past few decades has come close to what La Capitale offers." Maybe we should expect a surge of tourists coming to Salem from Astoria. Very interesting! The article talks about a lot of things so it's neat that the title ended up being about food in Salem. Great adverstising for La Capitale, too! I'm curious where this gentleman has eaten in Salem? La Capitale is great, but there are places that are as good or come close to La Capitale...and they've been here for a while. What the heck is in Astroria that's so fantastic? Thank goodness Portland is only a short drive away. Walking through the Pearl last night and seeing all there is to offer makes one realize ..... Salems dining scene is horrible and always has been and always will be. Most here consider Olive Garden and Applebees fine dining. I'm not sure why anyone would compare the number and variety of restaurants in a metro area as large as the Vancouver, Portland and Beaverton area to the Salem area. A 2007 population estimate says that 2,159,720 people live in the Portland metro area. While a 2000 estimate counts 347,214 for the Salem metro area. Doesn't that make Portland nearly 6 times the size of Salem? Personally, I think Salem has a lot to offer and it just keeps getting better due to the involvement of it's citizens. Pretty sure the consideration of the Olive Garden and Applebees as fine dining has nothing to do with the selection of restaurants in Salem. It has everything to do with who lives here. There are some awesome places to eat here. Just look around (La Perla Tapita, Venti's, Word of Mouth, Christo's, SFNY, Willamette Noodle, La Margarita, Fuji Rice Time, La Hacienda, La Capitale, Grand Vines, Sassy Onion...way too many to mention). It absolutely has everything to do with the people that live here. I was just commiserating with someone over this yesterday. As long as Olive Garden keeps winning "Best of" polls over fantastic local restaurants like Carusos, we will have the dining scene we have. Because good local restaurants simply don't survive here. They can't appeal to Salem (ok.... maybe just the majority of Salem, and not us readers here) the way those icky big old chains can. It's sad but true, and it is what keeps me blabbing all the time about local restaurants that I love to anyone I talk to about anything so that hopefully they can stay in business for my enjoyment! Amen Anonymous! I try so hard to fit good local places into conversations at work. We have two great pizza joints - Christo's & Strt From New York. Willamette Noddle is pretty good. Morton's is one of the best in Oregon. Lots of good Mexican food choices. Kim Houng & Siagon are great authentic food. Cascade Baking makes good sandwiches. La Capitale is a nice place (I am not a fan of French food, but I know lots of people that enjoy it). Momiji is an excellent sushi restaurant. Fuji Ricetime is good too. Venti's is a nice place (food is ok in my book, but not great). Pete's Place is a great place for a beer or cheap strong cocktail. Best Little Roadhouse - not a fan, but a lot of people I know like it a lot. Konditori - good desserts (for the most part). Boons and Thompsons - food is standard average pub fare, but great places to hang out and have a beer. I refuse to spend a dime at Walmart, Target, Olive Garden, McD, Taco Bell...etc. and fortunately there are lots of great locally owned options for food. Just my $.02. Your mileage may vary.